Clarisonic Pro is the most feature-filled sonic brush in the Clarisonic line. There are more basic models with fewer features, which translates to a lower price. Clarisonic Pro has all the available features of a Clarisonic brush, so it is the most expensive one available. The Clarisonic Pro is also the most customizable Clarisonic brush, which makes it the most versatile model. Read on to learn about the features of Clarisonic Pro. 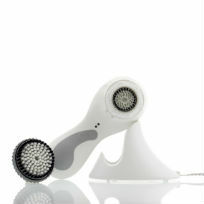 Sonic technology is the main acne-cleansing factor of Clarisonic brushes. The brush moves at elevated speeds—over 300 movements per second. The brush looks like it’s only vibrating, but actually it’s moving back and forth in contrasting clockwise/counterclockwise movements. These movements vibrate sebum so they loosen and escape the pores. The result is a cleanse 6x more effective than washing with your hands alone. What Are The Professional Features of Clarisonic Pro? The Clarisonic Pro has plenty of customizable features to give you a heavenly skincare experience. Power Indicator Light. The light shows when the Clarisonic Pro needs to be charged. 4 Speed Settings. Clarisonic Pro has 4 settings: low, normal, high, and pro. 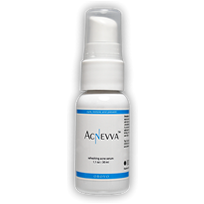 The low setting works well with sensitive skin, while normal and high help with oilier skin. 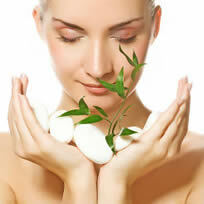 The pro setting is a high-powered massage that exfoliates and softens skin. Body Mode. Body Mode is a separate setting designed to cleanse and exfoliate skin. It has two settings: normal and pulse. Normal works well for a cleanse; pulse acts more like a massage, adding a luxurious element to your daily routine. T-Timer. A neat feature all but the most basic Clarisonic brushes have is the T-timer. The T-timer measures the time spent cleansing the T zone, which is comprised of the forehead, nose, and chin. The T-timer beeps after 20 seconds so each area is cleansed thoroughly. The T-timer beeps after 10 seconds for each cheek, which tend to be less oily than the T zone. Charging Cradle. Each Clarisonic Pro comes with a charging cradle that allows the brush to dry when you’re not using it and charge at the same time. When fully charged, the Clarisonic Pro should stay on for 28 minutes at normal speed or for 20 minutes on Body Mode. Warranty. The Clarisonic Pro comes with a 3-year warranty, the longest warranty offered by Clarisonic. If anything goes wrong with your Clarisonic Pro, simply call Clarisonic, and they’ll quickly address the problem. What Do Customers Say About Clarisonic Pro? Is Clarisonic Pro a Good Buy? The price of a Clarisonic Pro is a large factor. New Clarisonic Pros can cost between $160 and $235 at various sellers. 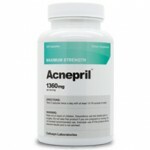 If you think this amount is an acceptable investment in your skin, you shouldn’t be disappointed. Out of 400+ reviews, only a fraction experienced negative results, and most said they were glad they spent the money. However, Clarisonic Pro is a budget-buster for many. Don’t go into debt for cleaner skin, but if you can afford it, it looks like a great skincare product.